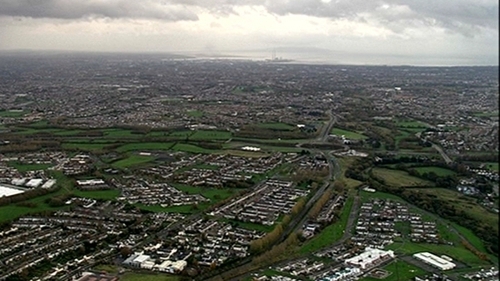 A new Metro South for Dublin that would link up with Metro North and provide a rail link from Swords to Bride's Glen is part of new transport plans. The National Transport Authority's strategy sets out decisions for the next 20 years in the Greater Dublin Area and also includes Luas links to Finglas, Lucan, Bray and Poolbeg. But the Metro West line once planned as an orbital route linking the airport with Tallaght is not included. The plan also involves the controversial Bus Rapid Transit system with lines from Blanchardstown to UCD and from Clongriffin to Tallaght. Another line from Swords/Dublin Airport to the city centre will operate until Metro North is completed. The BRT system will involve streets becoming bus only. It is opposed by many Dublin businesses who feel it is not suited to a city centre environment. The Greater Dublin Area Transport Strategy 2016-2035 also plans 16 Core Radial Bus Networks where Dublin Bus vehicles will receive priority on high frequency routes as part of enhanced bus lane provision. 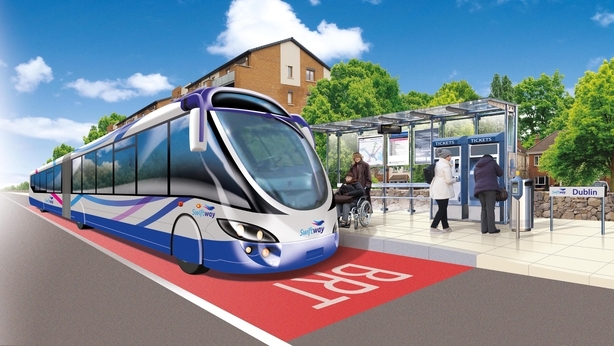 It is also planned to have orbital bus routes that will provide connections from Dún Laoghaire to Kilbarrack, Dundrum to Finglas and Ranelagh to Drumcondra. There are provisions for an improved cycle network, improved pedestrian facilities and more Park and Ride centres. It also proposes limits on workplace parking where public transport facilities are available. Metro South will involve future upgrades of the Luas Green Line and linking up underground with Metro North and on surface to connect with Luas Cross City. The plan covers 'The Greater Dublin Area' encompassing an area from Arklow, Co Wicklow to just south of Drogheda, Co Louth and west to Monasterevin in Co Kildare and covers regional bus and heavy rail links. Decisions on which projects to proceed with over the next six years will be published by the end of the year.